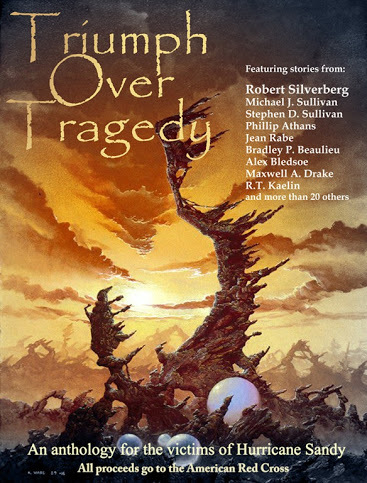 I’m pleased to announce that my story “Among the Stars” will be appearing in Triumph Over Tragedy, an anthology to benefit the victims of Hurricane Sandy. The story previously appeared in Time-Traveled Tales, the Origins 2012 souvenir anthology, so if you missed your chance to read it in that anthology, now’s your second chance to read the story (that Jean Rabe told me she loved). Triumph has an Indie-Go-Go campaign where you can pre-order the ebook and save $3 over the shelf price. Currently there are 30+ stories by huge names in science fiction like Robert Silverberg and Elizabeth Bear (holy prestigious company, Batman!). And your purchase will benefit a good cause. So go contribute already!